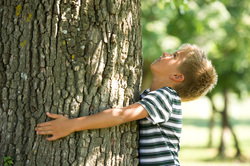 Welcome to League City Tree Trimmers Website! We are the proud purveyors of the best pruning and trimming services in the great state of Texas. We are proud to serve League City in all facets of weed removal services, tree trimming, shrub pruning, and property care. Do you have a problem stump? Slumping hedge? Maybe you have an emergency situation that you don’t think you’ll be able to handle on your own. That is exactly when you have to give the good guys at League City Tree Trimmer a call, we handle it all! The League City Tree Trimmer Company has been proudly serving League City Texas for around 25 years. What started as two trucks and two brothers servicing lawns and some small businesses during their summers throughout college has become the best lawn care, landscaping, and tree service provider in the area. Not only has our business grown exponentially throughout the years but also we have learned to take on other services to diversify our bevy of options when it comes to caring for your lawn and garden. The aim and goal of the League City Tree Trimmer Company is to make a name for us as the lawn care gurus of Texas. No other company stands up to our brand and service. The difference is in the quality of our professionals. The men and women we hire really do live and breathe landscaping. The employees of our business have a passion for the care and protection of our customer’s lawns, as if they were looking after their own. That is the promise we deliver on at League City, we treat the customer as our own, no matter what. We offer basic tree trimming, hedge pruning, weed removal services, as well and a slew of other options for our home owning customers. At League City Tree Trimmers we know our customers know lawns better than a lot of Texans since they come to the best to have their lawn treated and serviced skillfully by our true professionals. When we come out to your house do not be afraid to talk with our highly talented and highly responsive staff. They love to talk about work because at our company our employees truly love what they do for a living, taking care of your landscaping needs. We love our small businesses at League City Tree Trimmer Company; we know what it means to take into account the large business community in this region and knowing what we know, we feel it is definitely In our best interest to do local personalized business as much as possible. After all, we love the community that gave us our name and success. Our tree trimming and removal services are hands down the best in Texas we work in high trees or on delicate trees close to the ground. With us, you will not have to worry. Our pros are used to seeing a something new on the job everyday. They are rarely surprised and their knowledge of trees, shrubs, and other vegetation will really impress you. There isn’t any other way to explain it you just have to talk with one of our agents and you will be more than satisfied with the quality of your tree care. 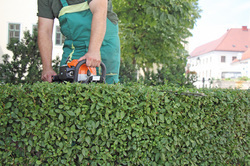 Ranging from hedge artistry at country clubs to no-nonsense hedge trimming for luxury estate or for more middle class homes, it doesn’t matter. Regardless of the size of your home or hedgerow, remember that no job is too big or too small for League City Tree Trimmers. We also provide uprooting services for those stubborn shrubs or bushes that just will not budge when push comes to shove. If you are stuck with unwanted shrubs or bushes that are taking up valuable lawn space make sure to give us a call so we may help you safely remove those. Think that old stump that you just cant get to budge wont ever come out of the ground? Well, think again, wit the torque and power of our trucks and vehicles one of our removal crews can make sure that the stump you want removed is out of the ground with the hole repaired before you know it. 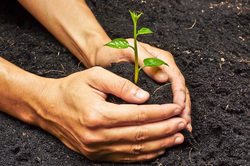 Also if you were looking to plant replacement trees or come up with a new design plan for your home and garden we would be more than happy to take care of that as well. The stumps are ground through are chipper and disposed of in an environmentally friendly way. Our weed removal services our second to none as we implement a patented three-step system where we can attack weed problems before they become a problem for your lawn and garden. We can spray in the spring and our professionals can help to point you towards the problem areas that are hotbeds for weed activity and migration. We apply herbicide on cool, arid days in both the Spring and Fall in order to kill ragweed and crabgrass respectively. This is one of our newer programs and will definitely help in adding to the already impressive array of services we provide. What are you waiting for? Contact us today at 281-346-4040 for a free quote!